Clarissa and Nick had their first date at a dirt bike race. They spent the whole day together, going from the track to dinner and then to a party that some of Nick's friends were throwing. From that first day on, they were inseparable. A few years later, while on vacation at Disney, in front of the big Mouse himself, Nick asked Clarissa to marry him. 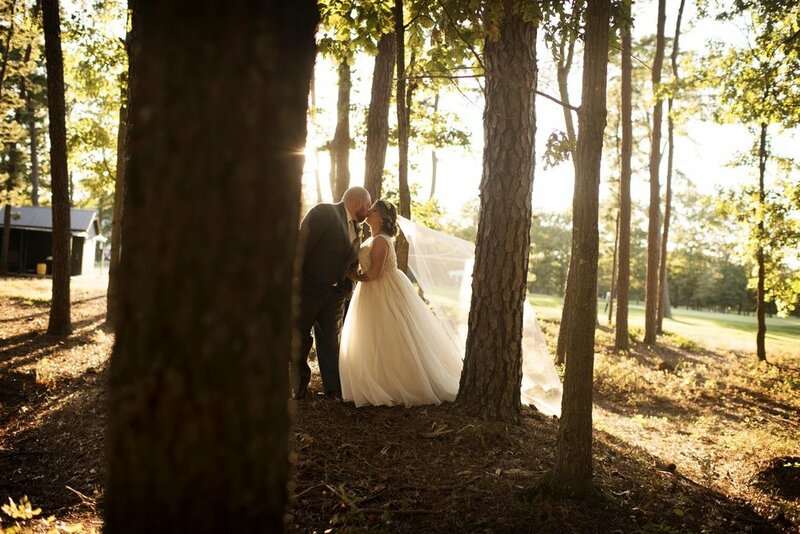 On October 15th, 2017, Clarissa and Nick had their earthy, Disney-inspired fairytale wedding. 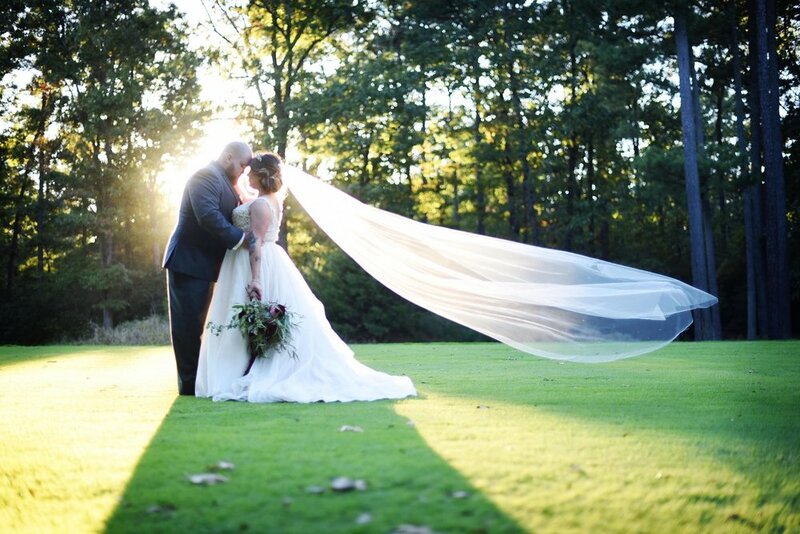 They chose their venue, Running Deer Golf Club in Pittsgrove, NJ, because of the gorgeous floor-to-ceiling windows overlooking a wooded alcove. Clarissa knew it would be the perfect backdrop for their photos and for their memories and she wanted their wedding aesthetic to have a real sense of nature. "What can I say," Clarissa said. "Every princess has animal friends." The bride wore a gown by WToo Waters, which had dreamy layers of soft tulle. 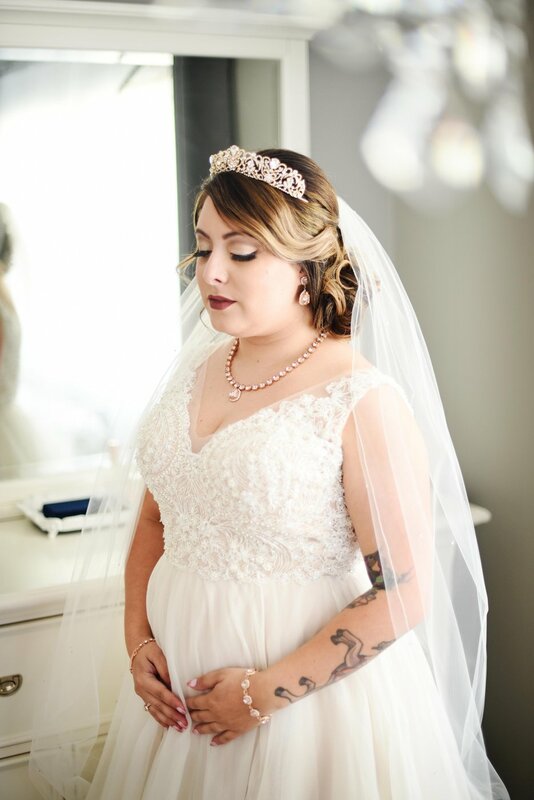 She had a simple cathedral veil paired with a show stopping rose gold crown, fit for a Disney princess. 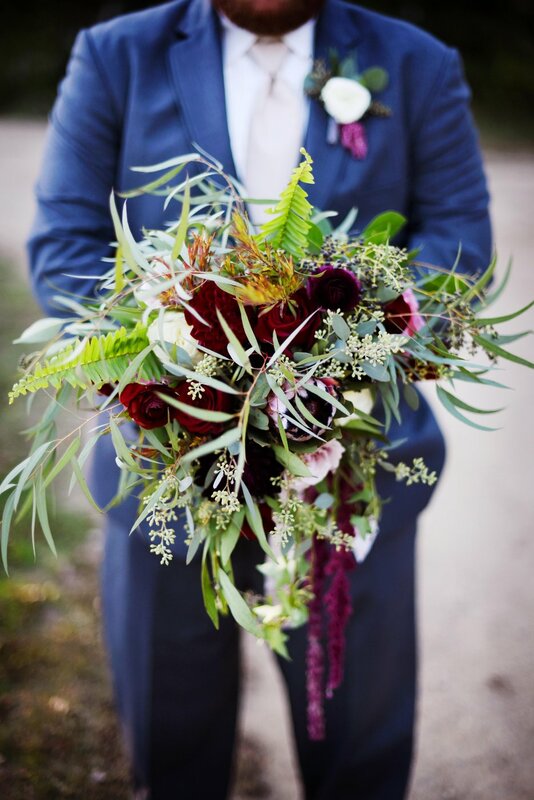 Her bridesmaids wore plum maxi dresses with halter necklines. 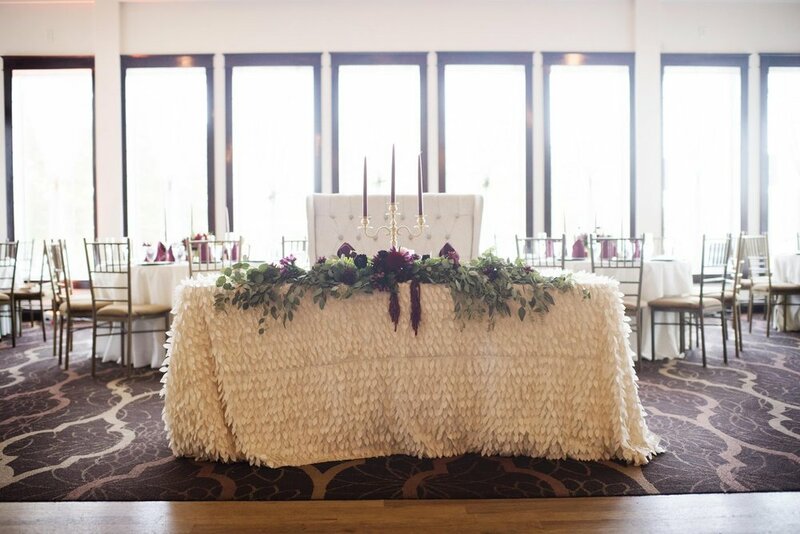 Their plum wedding colors were also referenced in the floral arrangements. Clarissa's father walked her down the aisle for their traditional church ceremony. Family is deeply important to this couple and both the bride's and the groom's family played a large part during their day. Their reception was a real party, just like a true, fun-filled day at Disney. Clarissa's favorite story is Sleeping Beauty, which was featured in the decor around the venue. 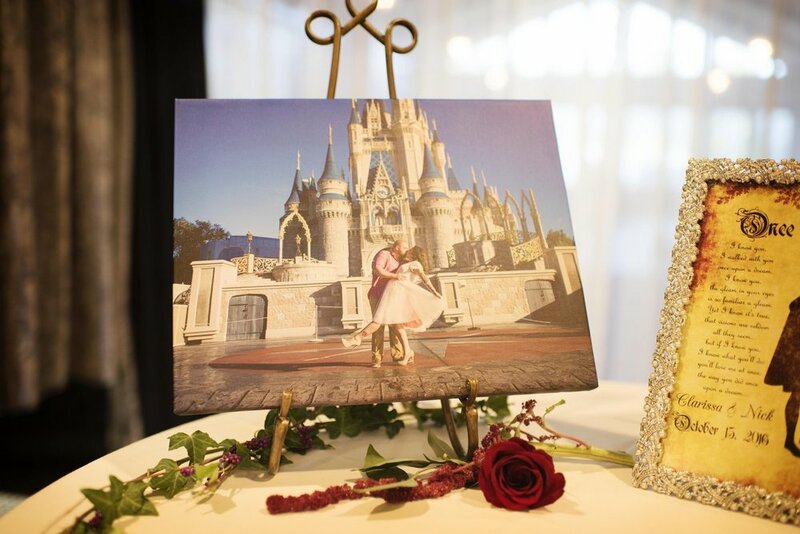 Pictures from their Disney engagement photoshoot were displayed and they shared a sweetheart table lined with red and blush flowers, creating a romantic, fall-inspired picture of it's own. With a budget of $60,000, they had the means to illustrate their magical fairytale from start to finish. Their 150 guests enjoyed all of the Disney features, which included an intermezzo of gelato with chocolate Mickey Mouse heads and a staged a spinning wheel with "grey stuff" from Beauty and the Beast near the entrance of their reception. 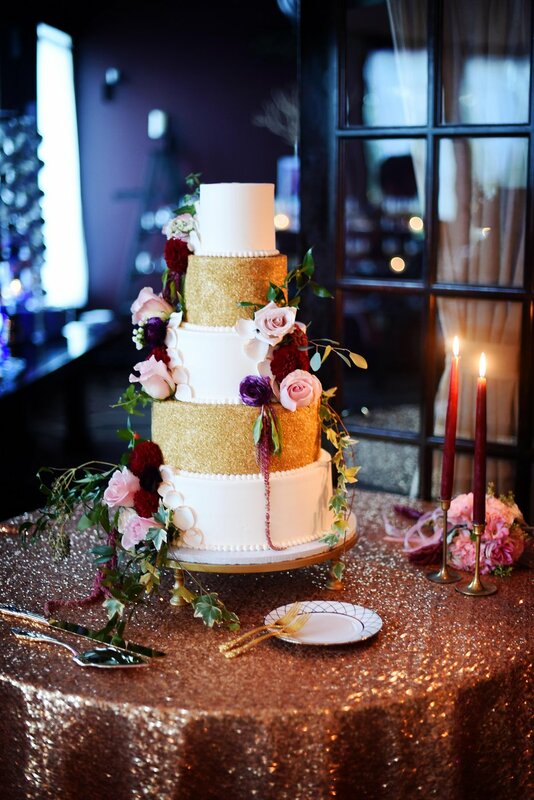 Their cake was just as remarkable as the rest of their decor, decorated with shimmer and flowers from their bouquets, on a table adorned with gold sequin linens. 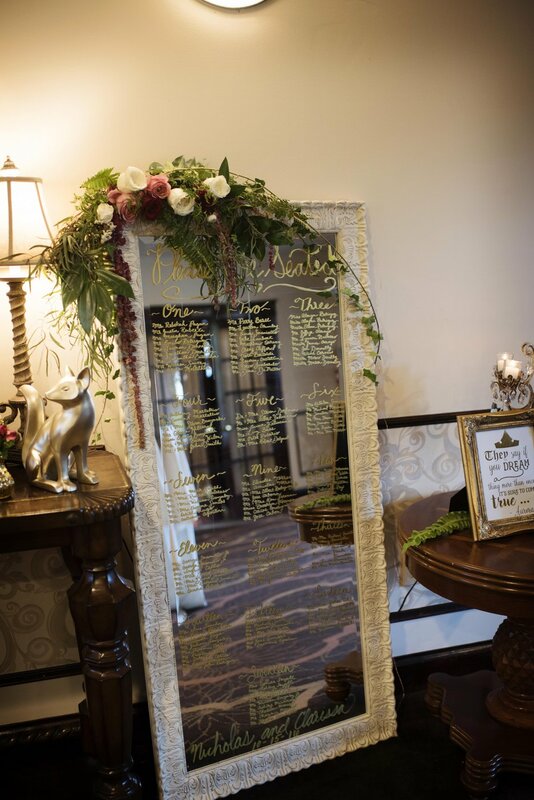 They used a giant mirror as their seating chart and accented tables with gold animal figurines to tie into the woodland feel. Nick's favorite moment of the evening was when Clarissa's dad surprised him with a cigar roller. 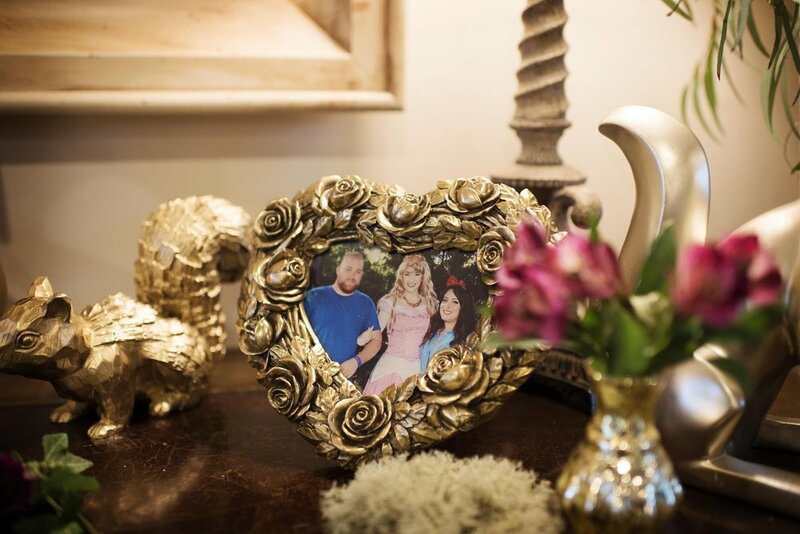 It was an extremely heartfelt, classy way to welcome Nick to the family. The biggest surprise of the night, however, were the fireworks that closed out the reception. Only the newlywed couple and the bride's parents knew that Disney-style fireworks that cascaded over the moonlight, inspiring every guest to have a little bit of love and magic in their hearts. 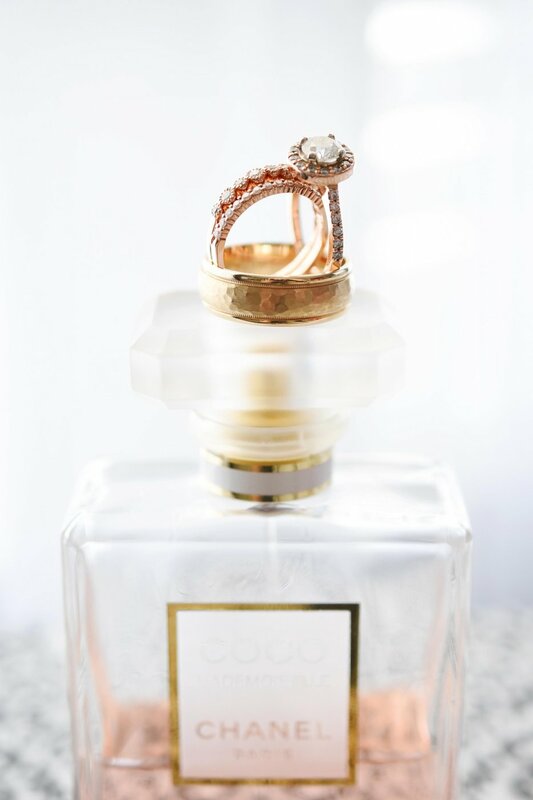 Their advice to other couples planning the wedding of their dreams would be to focus on time management. Clarissa said, "I started planning two years in advance and I swear I was working on stuff the night before." 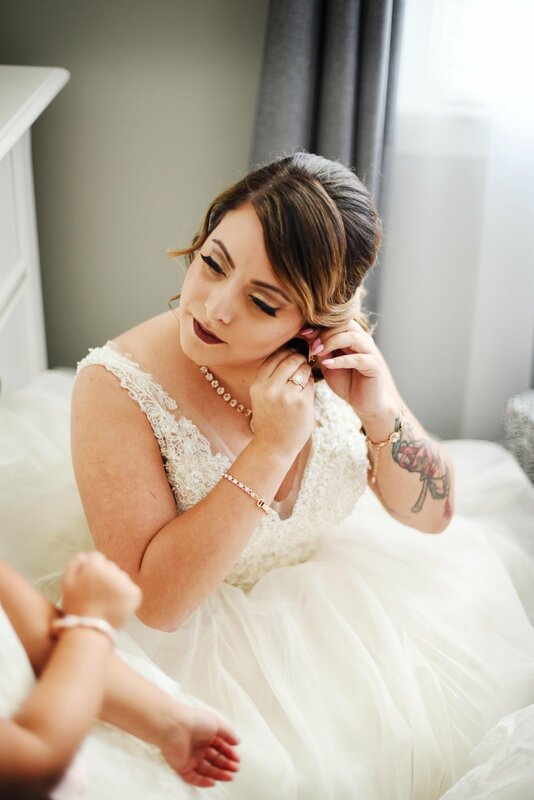 She added, "not everything is going to be perfect things happen, but the day happens so incredibly fast so try to live in the moment as much as possible." It's certain that Clarissa, Nick, and their new baby girl, Briar Rose, will relive this magical night on every future family Disney getaway.